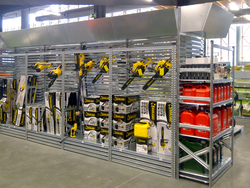 Organize Your Store - Better! Metalsistem Shelving makes every store a convenience store. One your customers will love to shop time and again! Turn window-shoppers into regular customers with displays that sizzle. Metalsistem Super 1-2-3 shelving system gives your store a fresh modern feel, putting your best products in the best light. With Metalsistem accessories you can merchandise evertything from softlines to hardlines. The best displays in the world will do you no good if you can’t find the merchandise quickly and efficiently. Super 1-2-3 offers you a boltless shelving stockroom solution designed to fit right where you need it, so you can keep track of inventory and keep you showroom in-stock . It is easy to assembly and reconfigure as your needs change. 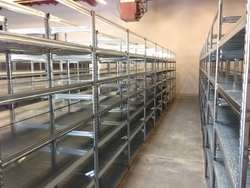 For more information on how Metalsistem 1-2-3 shelving can enhance your retail environment, contact Joseph Solinsky, Indoff Store Fixtures at 410.494.4598 or via e-mail at joseph.solinsky@indoff.com. I am always happy to assist you.